Armengol Torres is currently and during his whole professional activity a strong advocate of STEM being deeply interested in the design, development and implementation of successful outreach actions, strategies, and plans. Another area of his interest is the spread of the NewSpace Economy concept, contributing to building business synergies on this emerging aerospace sector. 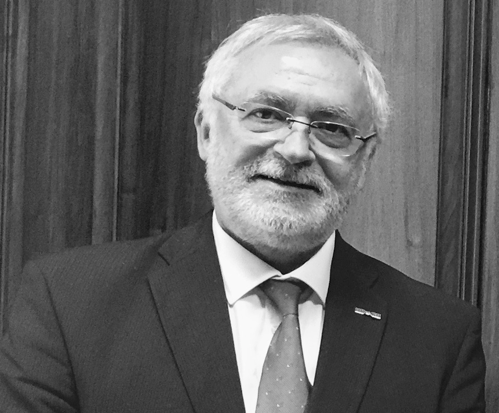 Currently, he is volunteering as National Coordinators Manager for the World Space Week Association, –formerly National Coordinator for Spain, is Regional Coordinator of the European Satellite Navigation Competition besides a member of its GNSS Experts Panel, and founder and President of the “NewSpace Community”. As a Mentor, he is contributing to the EU Copernicus Accelerator Program and to the Barcelona City Hall entrepreneurship promotion office. In the education field, he has participated as Associate Professor to several MSc courses. Editor and contributor of technical newsletters, writer, and lecturer. As independent consultant Torres has specialized in IT and Space Technologies, advising to the industry and organizations, as an expert evaluator of R&D proposals for the EU Commission and for other government agencies. Having founded and managed several startups, as an inventor has contributed in patents on Intelligent Transportation Systems and advising on Smart Cities strategies. MSc in Interactive Communications (UAB) with former studies in Telecommunications Engineering, Mr. Torres is getting a continued education in Space Systems Engineering, Earth Observation, Climate Monitoring, and Space Exploration. Armengol Torres is currently living in his hometown Barcelona, having also developed part of his life and career in Latin America.